Finding and keeping good tenants is not the easiest thing to accomplish. But, all you really need is a good screening process, or formula you follow to find, and hang on to your dream tenant. 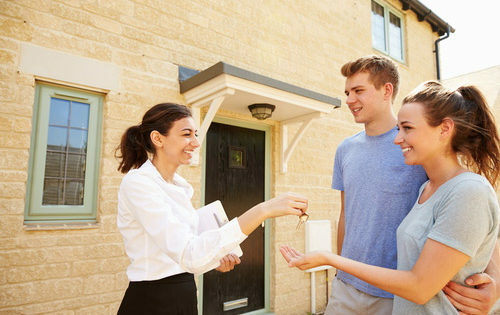 Try these five easy steps next time you are faced with renting a property. First, be sure you, as the landlord are protected. The practice of property rental has been around for an extremely long time and has evolved over centuries. It is a good idea to familiarize yourself with the state and local laws as they pertain to the rental of property and govern yourself accordingly. Your rental agreement is the defining document of your landlord/tenant relationship. It helps to consult an attorney when preparing a rental agreement or lease. Your attorney can ensure you have a binding, legally defensible agreement. Be sure to procure your landlord insurance policy from Insurance by Castle. Call them today at 800•644•6443. Second, although it is not legally mandatory in most states, it is a good idea to mandate your tenant acquire renter’s insurance. It is relatively inexpensive and can cover your tenant and their belongings in the event of a catastrophe such as fire, flood, or theft. A renter’s insurance policy can also dissuade a tenant’s attorney from filing a lawsuit in the event of an accident on your property. Third, a comprehensive tenant screening including a credit and background check is always a good idea. You can find out everything you may need or want to know about a potential tenant from a credit and/or background check. You will learn about their credit rating, late payment history, criminal activities, legal arbitrations, etc. ; from a simple credit and background check. 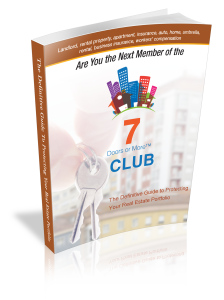 Always keep in mind, a tenant’s problems seem to have a way of becoming a landlord’s problems, so make sure you are renting only to productive members of society. Fourth, always consider property maintenance. Keeping your properties well maintained is a sure way to ensure everything stays in optimum working order. If your property is well maintained, it will show better to potential tenants as well as require less to turn it around between tenants. Fifth, be certain you get personal recommendations from previous landlords. A verified, truthful statement from a prospective tenant’s prior landlord(s) can offer you a lot of insight into just what sort of tenant they will be. Be careful though, verifiable and truthful are the key words when it comes to landlord recommendations. Too often, a prospective tenant will enlist the help of friends or relatives to pose as past landlords and provide you with fabricated information about your potential tenant. Contact the professionals at Insurance by Castle today at 800•644•5443 to learn more about landlord insurance and design the policy that best suits your individual needs.